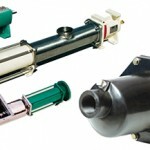 CDR Pumps are an independent pump manufacturer based in Milan, Italy. 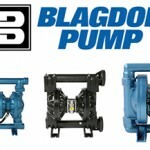 The pumps range includes mag-drive pumps, chemical process pumps, regenerative turbine pumps and self priming pumps and more recently, with the acquisition of Ashton Pumps Ltd, offer an extensive range of Air Operated Diaphragm Pumps for the safe effective handling of toxic and corrosive liquids. CDR Pumps have been designing and manufacturing chemical process pumps for in excess of 40 years. 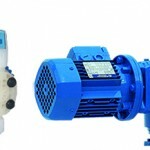 CDR Pumps were one of the pioneer’s in the use of plastic materials for the manufacture of pumps, for use in strict, aggressive environments, in the early days using materials such as Solid block Polypropylene and PVDF. CDR Pumps current portfolio includes many advanced materials including Polypropylene lining, ETFE lining and PFA linings, all of which lend themselves particularly well to very arduous aggressive chemicals and extremes of temperature. The ability to provide pump solutions in both magnetic drive and also mechanical seals allow the CDR Pump to be utilised by many Industry sectors including Chemical Process, Pharmaceutical, Food & Beverage, Radioactive and many others. These units are available either long-coupled or close-coupled, and are designed in accordance with International standard DIN24256.